I subscribe to a Facebook page called Badass Teachers and I love it. I've actually found a group of teachers who are more militant than myself. A few days ago I came across a contest about hwy you became a teacher. The prize was a $700 Amazon gift card so how could I say no? This is my entry which as usual I wrote on the fly. While I am not expecting to win in the least (my competition is pretty good), I am kinda psyched that I've entered my first writing contest. "First step in a larger world and all that, hopefully. Anyway, while I watch the St Patrick's day Parade on the TV, Roni, Jude and I are loungin" about enjoying our last day of Spring Break. This might be the most productive result of that. I got into to teaching for two reasons: 1. I was burned out in my current job and wanted to do something new 2. The person who talked me into it convinced me that I’d get to wear my beloved sandals to work every day. The person who shared this tidbit was Robyn Rice. Robyn and I were working at an Adults w/ Disabilities Program. Working directly with the guys was awesome but I had grown very tired of the program director and the politics involved in running the program. It was time for a change. Robyn was working alongside me as she finished her Masters in special education. She often tried to tell me how much happier I’d be in a classroom and how awesome I’d be with the kids. As much as I enjoyed having my ego stroked, I kept resisting. Looking back, I knew I was afraid. I knew teaching was a serious commitment and I just wasn’t sure I had it in me. But Robyn was relentless and eventually I caved. When I had spare time during the summer of 2002, I canvassed the Atlanta area trying to get my foot in the door. I figured I’d be able to start off as a parapro and work my way up. Nobody was hiring. By some stroke of luck I ended up in an interview through several strands of friends of friends. It was a middle school in Gwinnett County. I assumed I was there for the para pro job but in reality the principal, Ms. Malone, l was interviewing me for a Special Ed resource teacher. I have never been a religious man but higher forces were at work because I was hired after a 30 min interview to be a classroom sped teacher. Without a teaching certificate. This was a fact I was very upfront about but Ms. Malone explained there were in dire need and my background made me more than qualified. Besides GA had an accelerated teaching certificate program and she could get me in. A certificate would be about a year away with a little hard work. I walked into that middle school hoping to be a parapro. I walked out a 7th grade Geography sped resource teacher. My father always told me the story of how his father taught him how to swim. It involved being tossed into the river and hoping for the best. 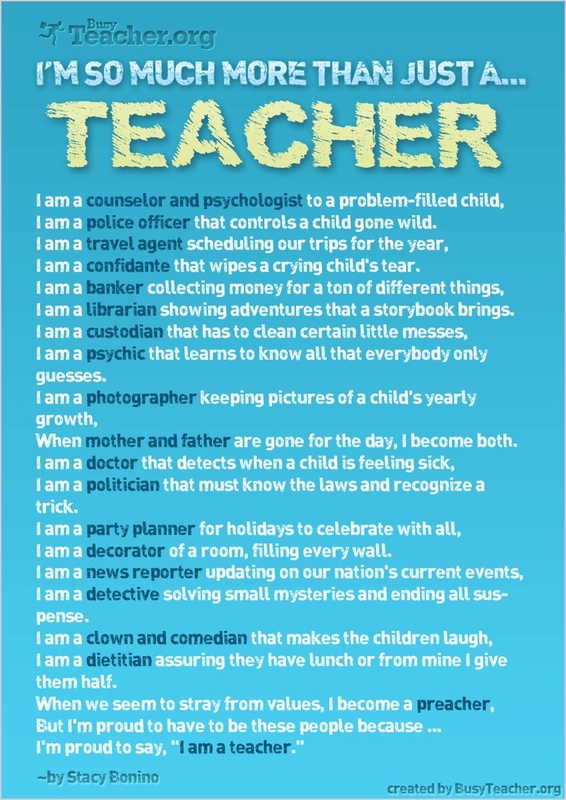 My first year was a lot like this but somehow I adapted and found that I liked being a teacher. I’d spent years working with a variety of adults dealing with their disabilities in day-today life. Switching over to children had its moments but also provided so many rewards. My imagination was on fire trying to get these kids fired up about World Geography. Through the use of duct tape, discarded household items, and loads of imagination, I took my class on an archaeological dig in China, made up a class song when we built Africa drums out of coffee cans, and even created our own Egyptian burial chambers complete with Hieroglyphics describing our lives,. My favorite was the kid who had Spider-Man and Wolverine duking it over his kingdom. Education isn’t just what I did as a teacher, I quickly discovered. I also had other roles. I was a traffic director during bus call. Police negotiator during conflicts in the hall with class dismissal. Curriculum expert as I sorted through the textbooks to figure out how to scaffold my lessons. Testing expert at the end of the year when we doled out all the standardized tests. And I also learned I had to listen. Middle school is a rough time for a kid’s self-esteem. Being a sped student almost doubles that. Student feel singled sharing some classes then having to switch. We spent almost as much time processing that as learning about the economies of certain countries. 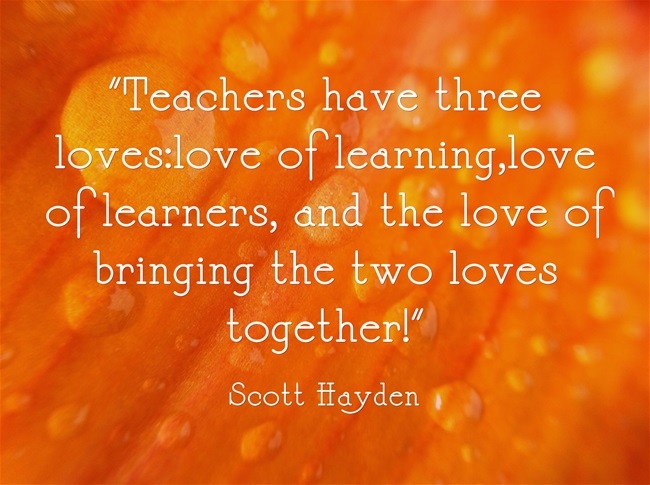 Over time my time my classroom, which my students nicknamed “The Hobbit Hole”, gelled and my confidence in being called a teacher began to grow. I figure I made plenty of mistakes but I also felt like I learned from them. I wish I could say that every student I had in my seven periods of World Geography passed but they didn’t. I do believe they left my class at the end of May knowing they were just as valid as regular ed students and had the coping skills to be just as successful. Ms. Malone was good on her word and got me hooked up with that accelerated teaching program. Unfortunately, my math skills were badly out of practice and I didn’t score high enough on the Praxis Math portion to obtain a provisional certificate. My contract was not renewed even though I missed passing by one point. It was a bitter pill to swallow and I spent a few months upset with the world. Eventually that bitterness turned into something positive and I found myself studying harder than I ever had before and passing the Math portion of the Praxis. With my provisional in hand I eventually got hired at another middle school and went right back to work. The next few years would be a series of ups and downs as I tried to find a school which would be the right fit for me ideologically. I got married, divorced, and discovered I had end stage kidney disease but somehow got through all that and finally got my teaching certificate in 2009 when I earned my Masters in Special Education. I am happy to report that I’ve spent the past 8 years teaching at the same high school my parents went to and even met at. I co-teach social studies and Literature and have never been happier. Even with all the controversy in merit pay and Common Core Curriculum, I look still enjoy this second career and still swell with pride when people asked me what I did for a living. I’m a special ed teacher. And I’ve still never worked at a school that would let me wear my sandals to work.